I settled into Virasana, tailbone sinking to the earth between my feet, wrists loose on folded thighs, spine straight, chest taking in more air than I’d breathed all day. I’d arrived to class several minutes early, unrolling my yoga mat in my favorite place before the west-facing window. After a long weekend of torrential rains and gusting winds, the day had been mild–warm really–for mid-October, and the early evening sun was an orb of burnished gold. Suspended light wavered and caught hold of a web just outside the window, illuminating a gloriously fat spider at its center, her world shifting and shimmering in the soft breeze. She glided from the web’s bullseye to make slight adjustments to her woven marvel, returning to the center like a queen to her throne. For the next ninety minutes, as I rose and folded in salutation to the setting sun, I glanced at Spider when I could, until darkness descended in a blue curtain and I lost her to the night. Spider’s commitment to her task, the faith she has in her own strength and purpose, the beauty and rightness of her creation, however temporary, moves me to my core. My life is in flux, with strands as shivery and delicate as Spider’s web, but no less connected to the Universe and just as strong for the determination and resolve with which they were spun. Massive changes of heart and mind, changes I have not yet shared here for they are too raw and new, complicated and bittersweet, private and yet rippling with aftershocks into lives tied to my own. At the heart of it, at the heart of me, are my words. I’ve turned inward these past months, writing very little for public viewing. 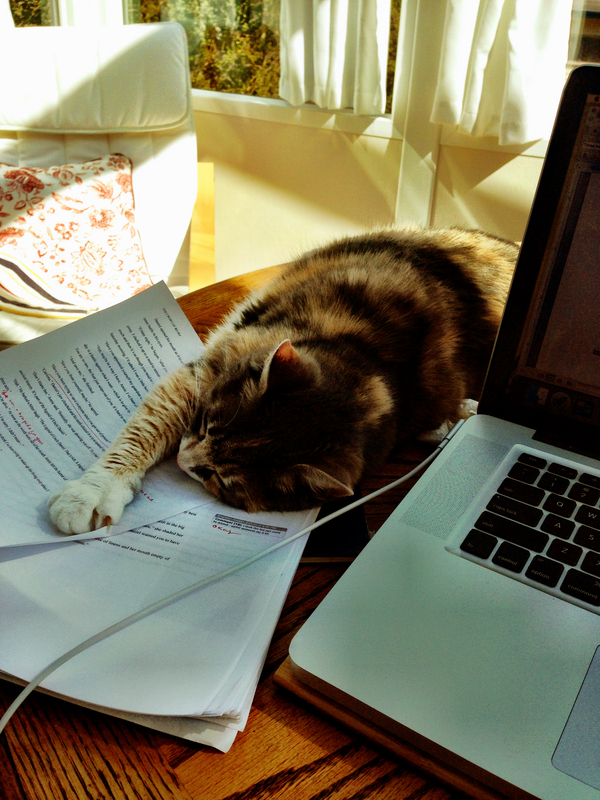 Publishing and then promoting a novel sucked me dry and I’ve had little desire to offer more beyond what’s already out there, or the energy to do more than hone and polish the next novel to meet the next deadlines. But I’ve filled pages and notebooks with private thoughts, all in preparation for . . . and I cannot complete this sentence. Or perhaps it is already complete. All in preparation. One of those notebooks, nearly full, ripe and bursting with hope and sorrow and wordswordswords, was tucked in the front pocket of a suitcase, a suitcase that was stolen from a train on one of the many stops between Marseille and Nice a month ago. As maddening as it was to lose everything but the clothes on my back at the start of a three-week journey, the things were all replaceable (and if one is going to lose all her clothing, one should be happy one is in France. Shopping.). My words, however, are not. I mourn the loss of my journal. All that work, gone in an instant, like a cruel hand or a gust of wind ripping apart the strands of Spider’s web. How frustrated she must feel to see her handiwork, her livelihood, torn asunder. But she never fails to start anew. It’s what she does. Spin or die. The occasion of the loss of those words led directly to writing retreat during which I wrote more than I have in a year, since the months leading up to and following the publication of In Another Life and the preparation of The Crows of Beara for its upcoming launch. And every word I wrote was shared with a group of magnificent writers. The writing, the sharing, brought me back to my writer, my storyteller, the center of my web. In his turn-of-the-20th-century Letters to a Young Poet, Rilke implores his friend to stop searching for the answers, to love instead the questions. I realize, as I let go of my losses and look ahead to what I have left and what I have gained, that writing through my private thoughts is a search for the answers. Telling stories is a celebration of the questions. I’ll always dance between the two, but I think I’m ready to live the questions now. And living means writing. 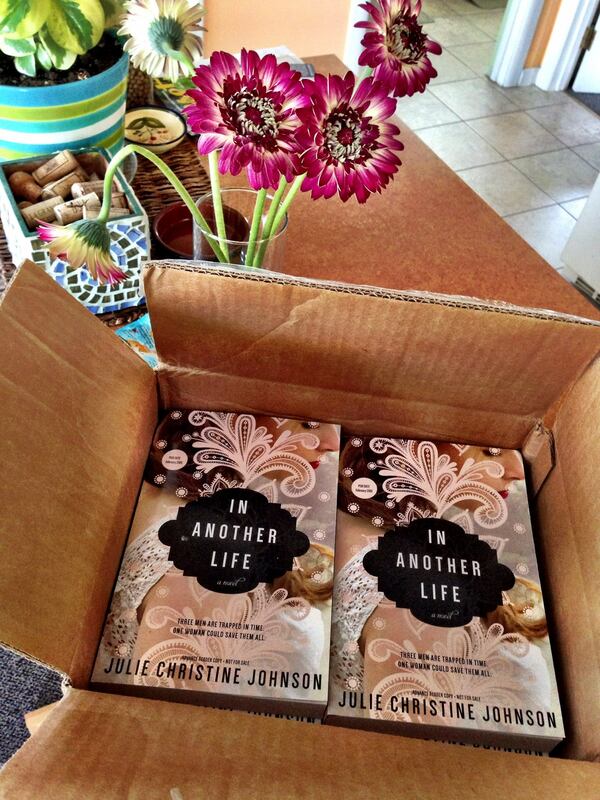 A Goodreads Giveaway for In Another Life. Click to Enter! Three years ago next week, I attended my first writers conference: Chuckanut, in Bellingham. There, on the second day, during a session about storyboarding your novel, I settled on one of three ideas for a novel I’d had kicking around in my head for at least a year. I just knew. It was the right time. It was this story. There, on the third day, in the break between sessions, the life I was carrying began to let go. It was in writing this blog post, The Scariest Thing a few days after the conference, that I realized how my universe had shifted. These are the ARCs (Advance Reader Copies) of my novel. The uncorrected proofs sent to book reviewers and bloggers, bookstores, and used for marketing and publicity purposes. They aren’t quite the real thing—official publication is February 2016— but damn if they aren’t real enough. I’m giving away most of the copies in this box, details here: In Another Life ARC giveaway The real deal is also available for pre-order on Amazon: In Another Life: Pre-order on Amazon I’d be over the moon if you took the order details to your local bookstore and/or library to request they order the novel for their shelves. Booksellers & Merchandisers can contact Valerie Pierce valerie.pierce@sourcebooks.com from my publisher and she’d be happy to send them a galley. This novel is the life I’ve created. Since that July day, I haven’t stopped writing. I haven’t been able to. Another of those ideas I carried with me to the conference is becoming a novel: I’ll have a solid first draft by the end of this week or the next. In between, a second novel is now on submission. Other short stories and essays have found their way into their world, and still others I am letting rest, until it is their time to be polished and sent on their way. But this. This thing that has happened. I can’t believe it, really.